We are thrilled to be part of the Suntricity educational kiosk success at the innovative Discovery Place Museum in downtown Charlotte, NC. 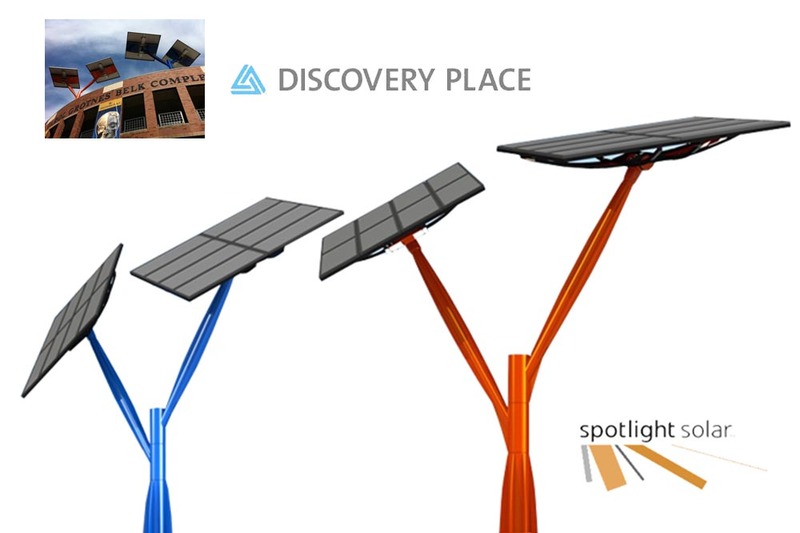 Spotlight Solar and Southern Energy Management in conjunction with the City of Charlotte Power2Charlotte initiative and Envision Charlotte sustainability program installed two solar tree structures on the Museums roof. Data Monitoring Solutions created a fully custom touch screen monitoring application that adds an educational and fun component to the benefits of solar power creation. Kudos go out to Spotlight Solar for making solar energy collection beautiful and functional, to Bosch Solar for their generous donation of 24 solar panels and Southern Energy Management for a seamless installation.